code the curriculum project guides take pupils on a journey from learning the basics of coding, to being accomplished programmers, capable of writing the code to solve problems they encounter in A-level mathematics and physics. 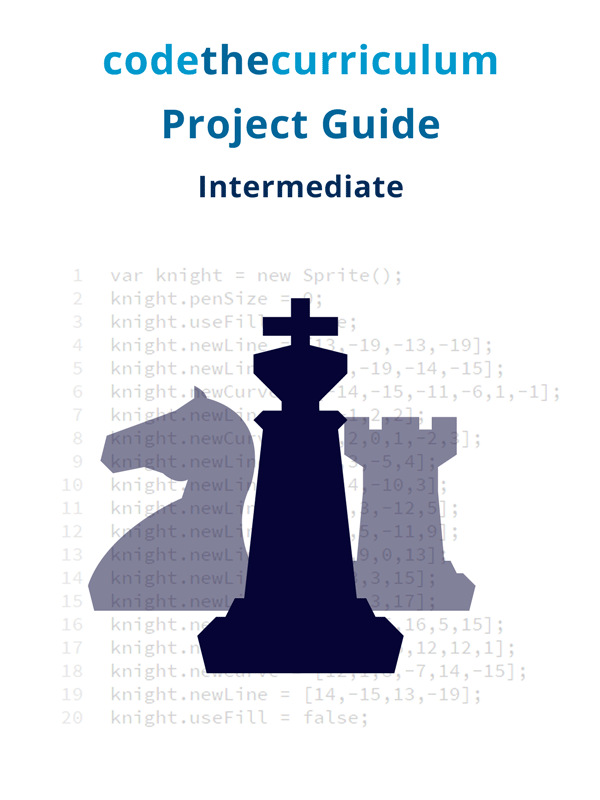 The project guides are specifically designed to help teachers who are not computer specialists teach programming skills within their own subject areas. 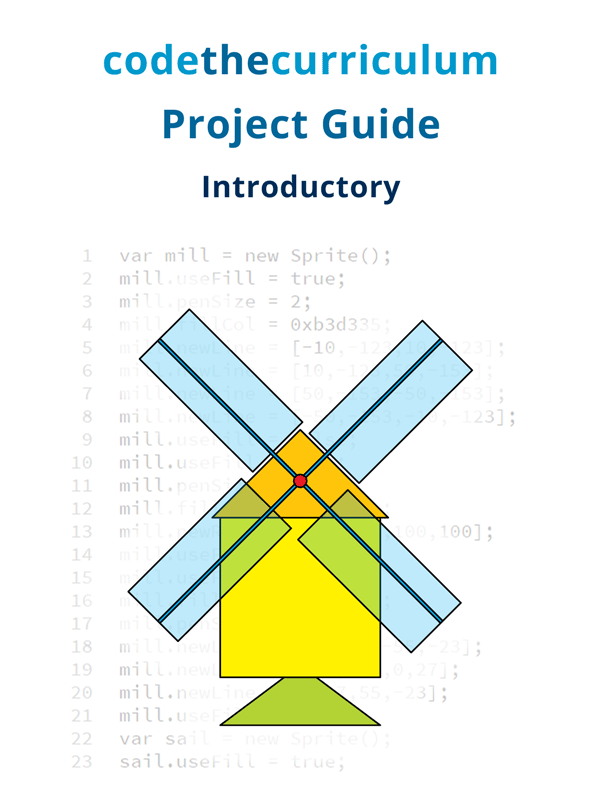 The Introductory Project Guide has 66 suggested coding tasks. The course covers all the requirements of the Key Stage 2 computer science curriculum and more. At all stages, useful programming techniques are shown. Projects have been chosen as ones that might inspire pupils in many areas, and encourage further exploration and development of knowledge and skills. All projects have a description of aims and how the content meets national curriculum objectives, a discussion of planning considerations, a program listing for a working model and an analysis of the code, and suggestions for further tasks. Projects include drawing objects using geometric shapes, instructing a turtle to draw patterns, mapping star constellations in the night sky and creating and launching a virtual rocket, and extend to simulations of real-life systems. This project shows pupils how to write a program which draws up a table of values — for any number of entires — and produces a corresponding pie chart from the data. One of the projects involving clocks is designed to convert 24-hour time to the display on an analogue clock face and another displays the current time, showing hour-, minute- and second-hands. The Intermediate course is in two parts. Part I contains projects which require only a Key Stage 3 level of knowledge of maths and science, and Part II contains projects that reinforce a knowledge of those subjects up to Key Stage 4. Projects range from designing a program to calculate the resistance of two or more resistors in parallel, to finding the formula for the nth term of a quadratic series; from writing a program to find the slope of a straight-line graph to finding the slope of the normal to a curve. They include laying out the coloured squares of a chess board (with code) and programming the moves of the chess pieces; using nested conditional statements to enable a single control to govern the engine speed, altitude and retraction of the undercarriage of virtual model of a Spitfire; producing a working virtual model of a tractor with front-end loader and tipping trailer; illustrating the solution to a quadratic equation by completing the square (and showing a graph of the function); finding the square root of any number by iteration; and determining whether two moving objects are on a collision course. Pupils use trigonometry to calculate the the correct position of the truck, angle of elevation of the ladders on the turntable, and extension of the ladders in order to rescue people from each of the four floors of a block of flats — and check their calculations by programming the fire truck accordingly. Pupils write a program to draw and animate gear trains, and calculate the angular velocities of the gears. The Advanced course contains projects which not only cover advanced programming techniques but encourage pupils to use their programming skills to solve the problems they encounter in A-level maths and physics (and engineering). 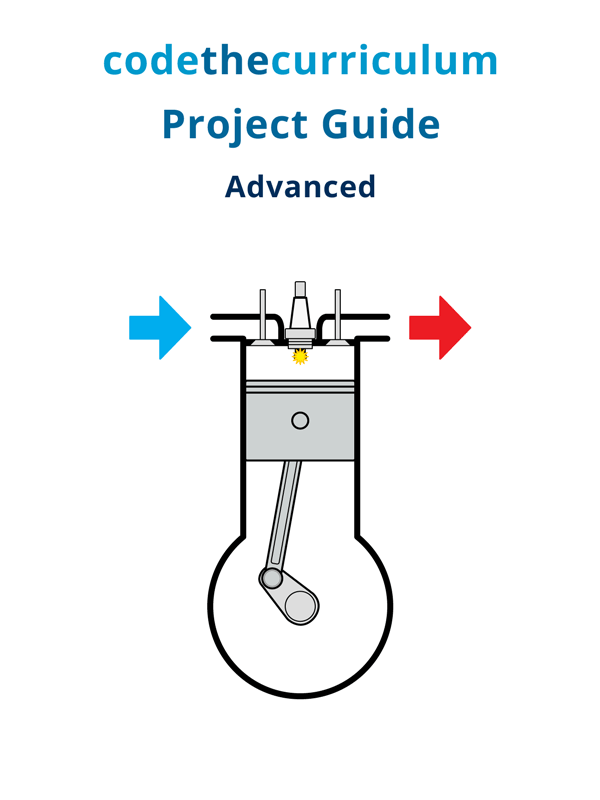 Projects include curve fitting; solving first- and second-order differential equations numerically; numerical methods of integration; producing working virtual models of complex mechanisms such as the drive train of a steam engine, the workings of internal combustion engines, and a fork lift mounted on the three-point linkage of a tractor; and calculating forces in simple structures. Pupils produce working schematic models of petrol (and diesel) engines, showing the movement of pistons and valves and the timing of the spark (or fuel injection). 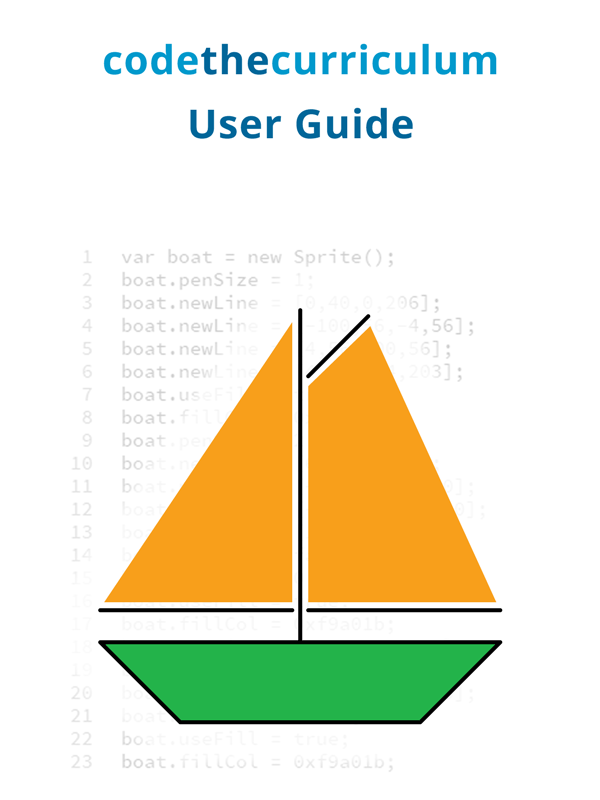 The User Guide helps users who have no prior experiencing of coding to get started quickly and progress rapidly. 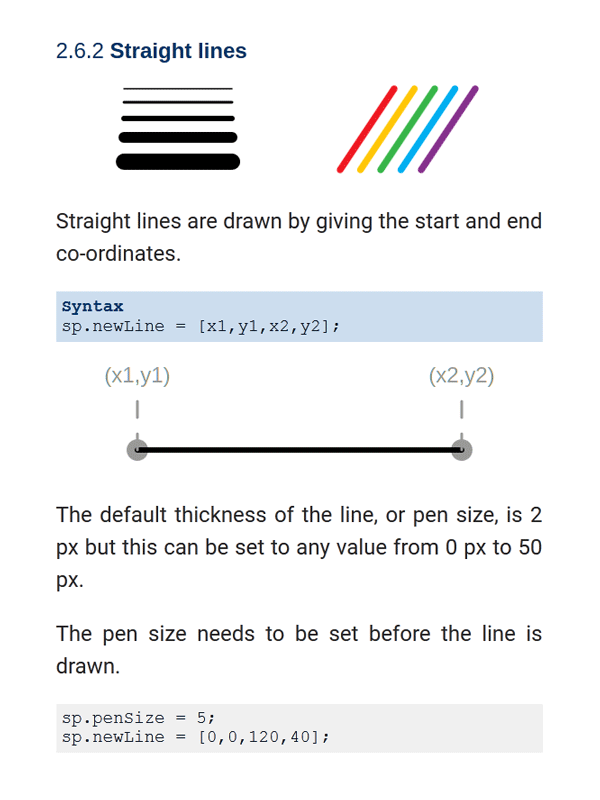 It provides explanations of terms and shows how to code and style simple and complex objects, and how to animate them. 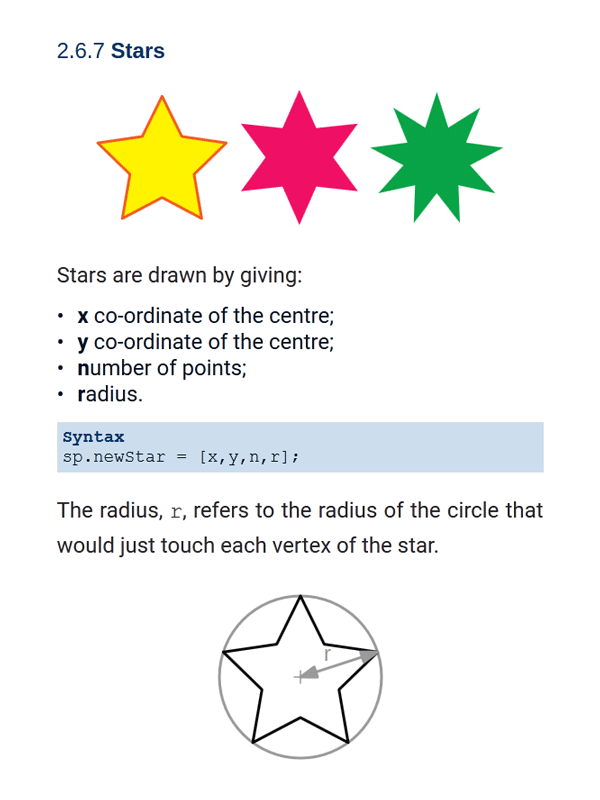 It explains the syntax used for each operation and provides illustrated examples. Separate sections give suggestions for extending projects, snippets of code for accomplishing different tasks, and tips for teachers.